Man, those were some depressing posts I put up in November. I can’t leave those up with nothing else for you to look at. Unfortunately, I’m too busy to write a real post right now. Also, go vote for Kimberly Sabatini’s TOUCHING THE SURFACE, which was nominated for YABC’s Best Teen Paranormal 2012 AND Best Teen Fantasy 2012!! *Sorry, I’m still closed to queries. When Hollywood makes the film of your life, this scene will be the biggest tear jerker in the history of celluloid. Oh, totally. I’m emailing this pic to Disney now. We’ll thank you in the credits for the idea. Mickey looks good on you! Voted! 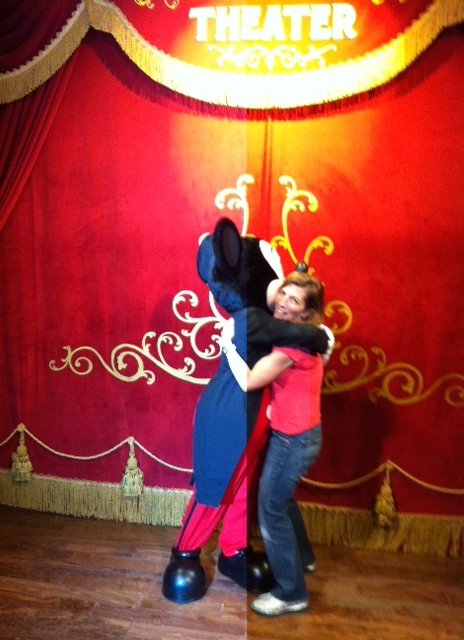 PS: Mickey’s great, but what I really want to see is you with creepy disney princesses.